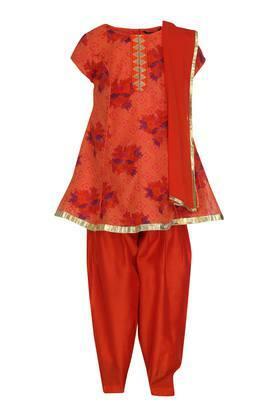 Make your little princess look like a fashionista by making her wear this salwar suit presented by the coveted brand, Stop. The kurta comes in a print pattern that makes it stand out in terms of look. Furthermore, the suit has been crafted using premium quality fabric, which will make your kid stay comfortable all day long. 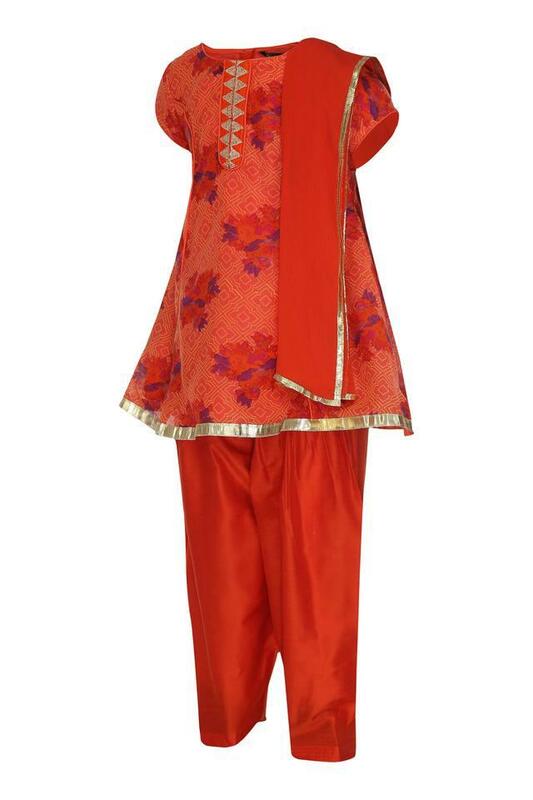 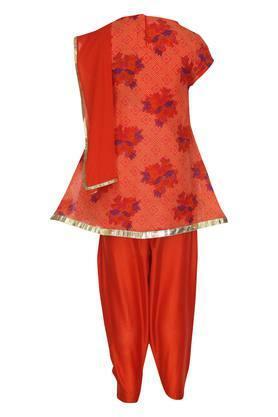 Adore the cuteness of your little girl by dressing her up in this salwar suit. It scores high on the comfort quotient owing to the use of good quality fabric in the making.